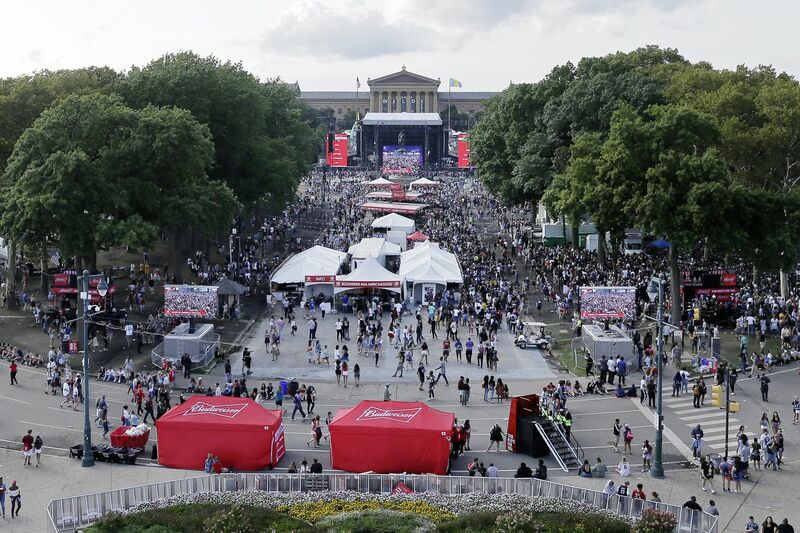 A view of the Made In America festival on the Ben Franklin Parkway in 2017. Love it or hate it, the annual Made in America festival is headed to the Benjamin Franklin Parkway this weekend. The festival has drawn a lot of attention this year, particularly after event founder Jay-Z scolded Mayor Kenney for trying to move the festival off the Parkway, and Kenney conceded, saying the concert would stay there in the future. Nicki Minaj, Meek Mill, Post Malone, and Diplo will be among the hip-hop headliners to perform in front of the Philadelphia Museum of Art on Saturday and Sunday. Expect big crowds and traffic jams. Some lane closures and parking restrictions are starting to be phased in, with more on tap when roads around the site fully shut down this weekend, according to the city. Already closed are two lanes of Eakins Oval in front of the Art Museum and Spring Garden Street between Pennsylvania Avenue and the Parkway. Road closures for the Made in America music festival, which takes place in the Art Museum area on Sept. 1-2, will take places in phases. All roads are expected to reopen for the morning rush hour on Tuesday, Sept. 4. Motorists are advised to avoid the area by using alternate routes. Parking will also be prohibited in the immediate vicinity of the festival starting on Sept. 1.